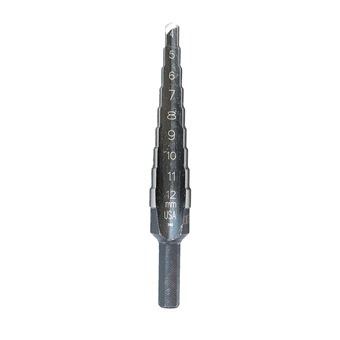 IRWIN STEP DRILL BITS is rated 4.0 out of 5 by 1. Rated 4 out of 5 by Andy38 from Irwin step bit Very useful tool for larger holes. Many sizes in one bit so it saves on storage too. Used it on thin sheet metal handheld and it works fine.